Groove Inc and BABY, THE STARS SHINE BRIGHT have teamed up once again to bring fans 2 darling dolls of Aoki Misako and Midori Fukasawa. 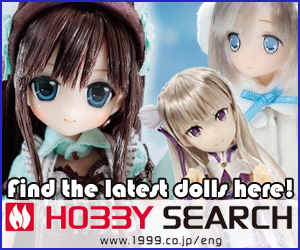 Similar to the January 2014 dolls, the October 2015 girls will be dressed in original outfits designed by BABY, THE STARS SHINE BRIGHT. 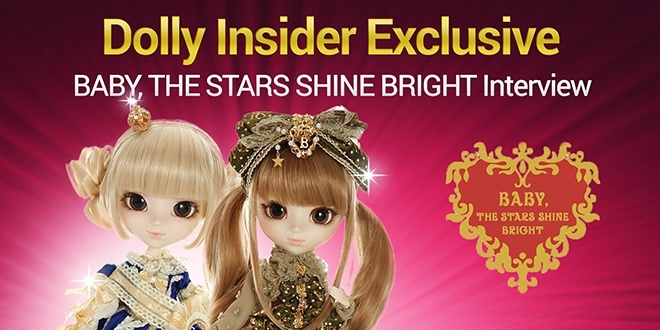 We caught up with Sakaguchi from the Press Department for a brief insight into the inspiration behind the dresses and to inquire about BABY, THE STARS SHINE BRIGHT’s future projects with the Pullip Brand. 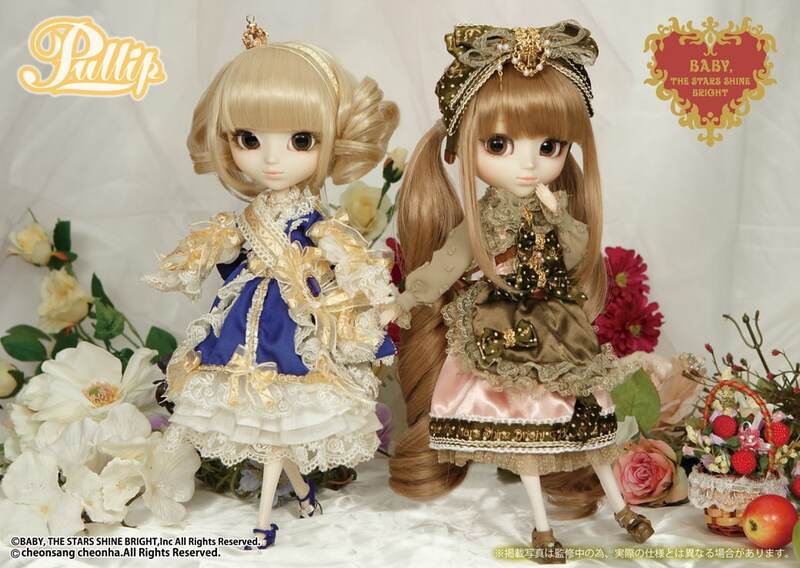 What was the inspiration for the outfits seen on Pullip Aoki Misako Favorite Ribbon Chocolate and Pullip Midori Fukasawa La Robe Vert Bleu Royal? In Aoki Misako’s Favorite Ribbon Chocolate version the lead designer was Kumiko Uehara (上原久美子). For this project we received the idea for the chocolate color from Aoki Misako, and put a lot of ribbons on the dress in a very BABY style. 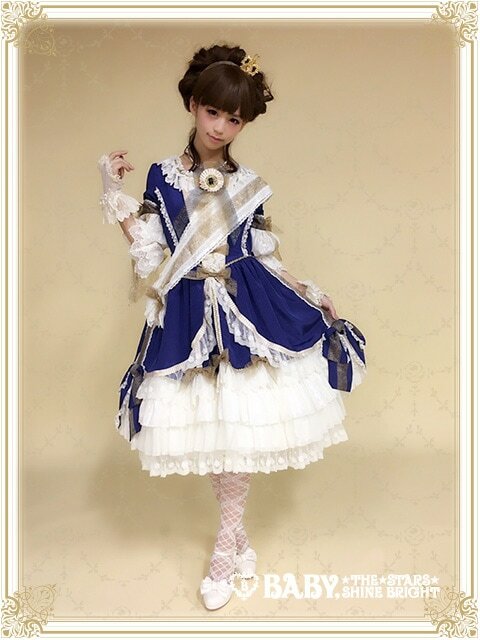 We used the dotted ribbons to skillfully bring out the dress’s cuteness. We also choose a headband that matches with it and spiced it up with a princess drop comb with a symbol that represents BABY. 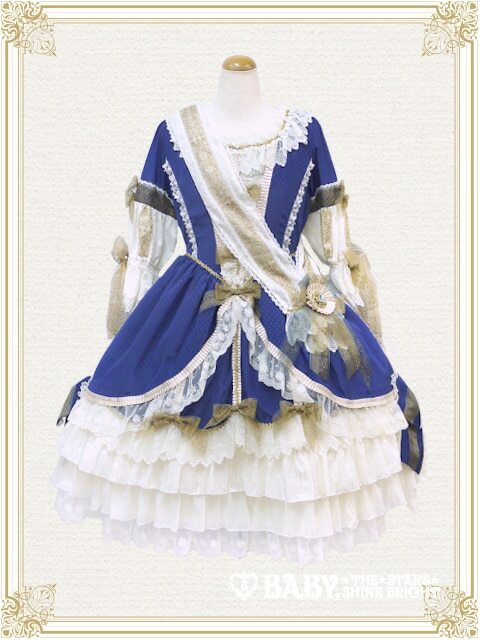 For Midori Fukasawa’s La Robe Vert Bleu Royal the lead designer was Kano Masumi (加納万須美). When it went on sale in 2012 it was the latest version of clothing from, the very popular and successful, Ms. Midori. She was involved in choosing the color design. The elegance and attractiveness from this work is credited to the main color, royal blue, and the other parts added including the gold braid, gold ribbon. Are these dresses from a new collection? 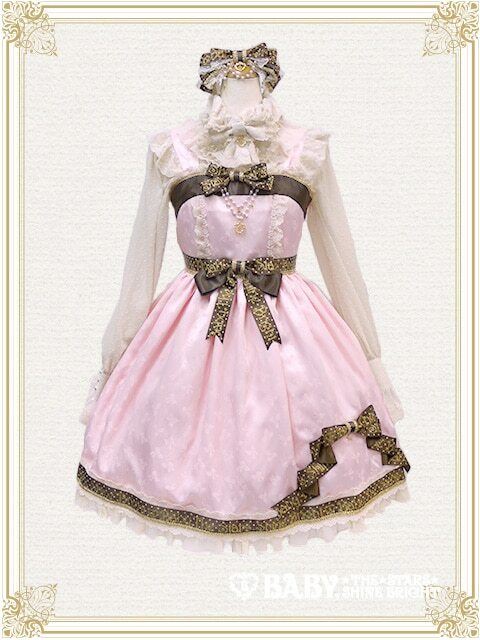 The dress design is from an old collection, but it will be available in a brand new color. If yes, when will they be available to purchase? It will be updated when plans are finalized. You can confirm the latest news on our website. 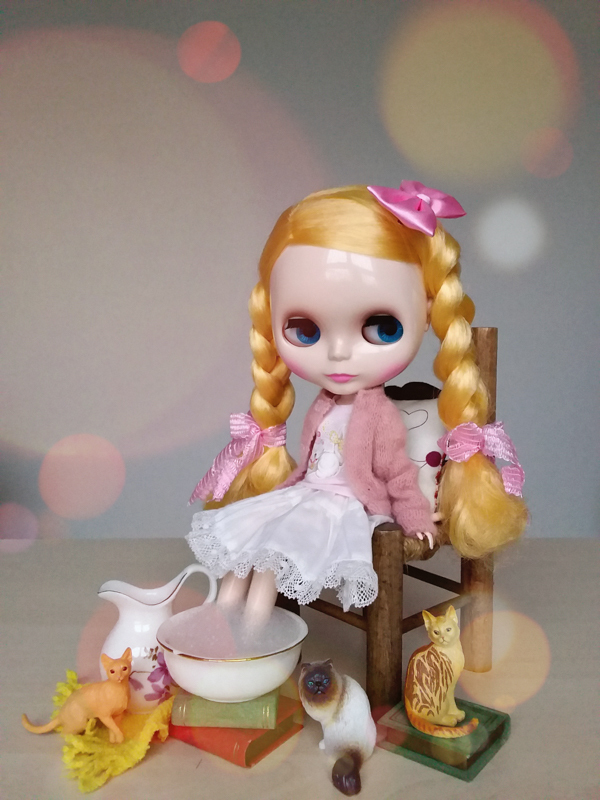 Are there any future plans to collaborate with Groove Inc (Pullip) again? If we plan more projects in the future they will be visible on our project chart on the website. Please keep your eyes on the chart for the latest updates. Where can our readers go for more info about your products? Do you have a website, blog, Facebook, Twitter etc? This concludes our answers. Thank you very much. 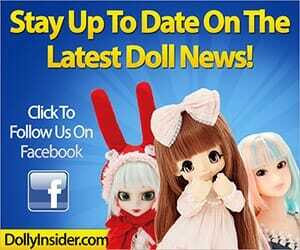 Thanks to BABY, THE STARS SHINE BRIGHT and Sakaguchi for taking the time to answer The Dolly Insider’s questions. 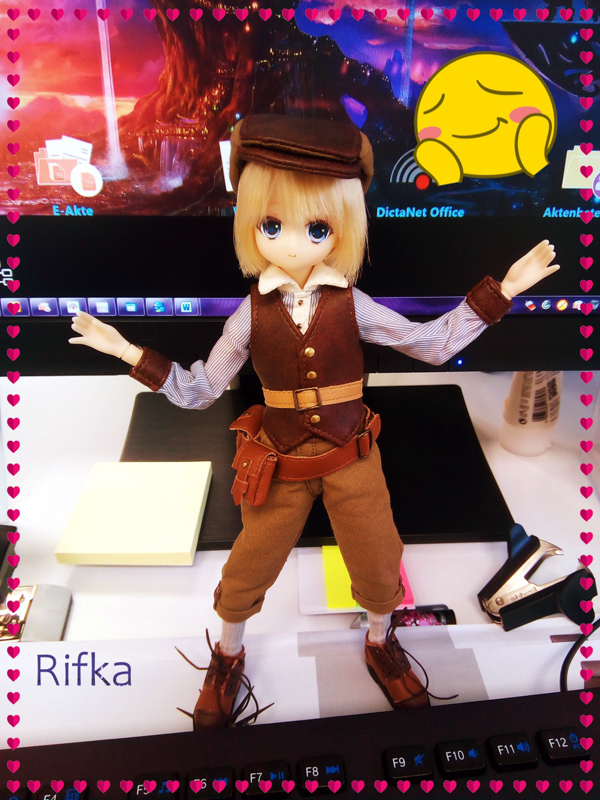 We hope you enjoyed this behind the scenes look into the creation of Pullip Aoki Misako Favorite Ribbon Chocolate Ver. and Pullip Midori Fukasawa La Robe Vert Bleu Royal Ver outfits. So they are thinking about releasing their models based on the story of “The Little Prince”… That’s so cool !! *o* I can’t wait to see that!